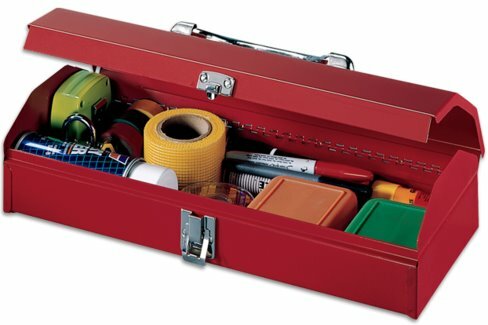 Steel tool boxes include high quality features for strength and durability. Rugged all steel end cap construction – provides greater strength. Steel carry handle for heavier loads. Available in black (SHB-15) and red (R-515).